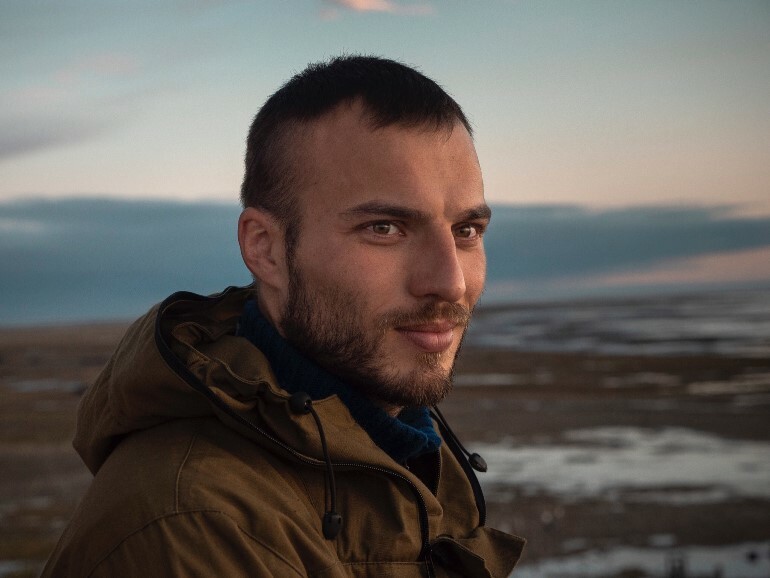 For the forth year in a row our young compatriot from Israel Ivan Bodrov spends his vocation in a very unusual manner – he clears Arctic islands from trash. For a month he will be engaged in heavy physical labour – from morning till night at zero degrees centigrade. But, according to Ivan, now he cannot imagine his life otherwise. – Ivan, not long ago you have returned from journey that can’t be called ordinary. Please, share how did you end up in the Arctic Region and what did you do there? – For the first time I heard about expeditions to the Arctic at the International youth forum “We are for world peace!”, which is conducted in the Bulgarian town of Kiten with support from the International links department of Yamalo-Nenets Autonomous Okrug. I was there in 2012, and we were told that preparations were being made for such expedition, and that there was possibility to take part in it. I felt interested, but, as most of people do, found excuses why I couldn’t join. In 2013 I went to the festival in Bulgaria again and met those who had already visited the Arctic Region. They told more about the expedition and I came to conclusion: if I didn’t go now, I would regret about it for my whole life. And my first trip to the Arctic was in 2014 - I went to Bely Island. Then I travelled there in 2015 and 2016. – So what did you do there? Back in the days of the Soviet Union there was a military base and a meteorological station. Also there was a small settlement on the island – just five or six houses. In the 1990s the military base moved away, and the island was abandoned. People didn’t have money to take their belongings from there, so they all were left behind. 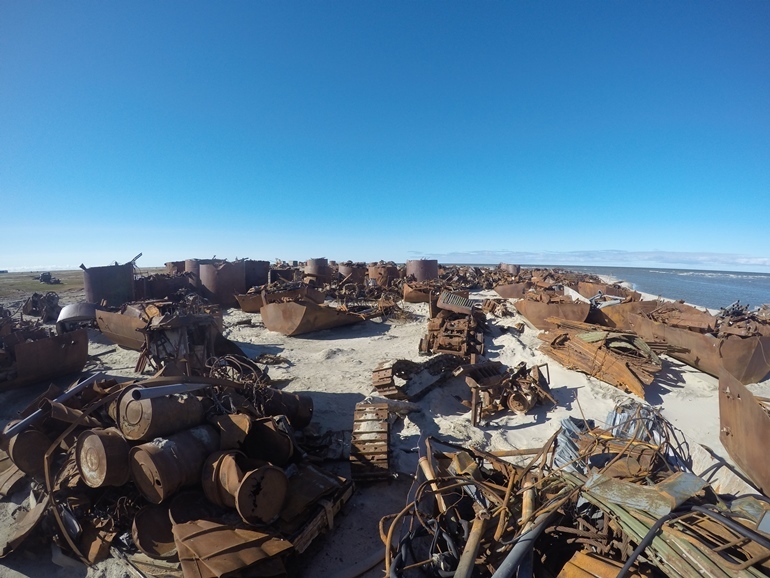 For example, there are lots of 200-liter barrels which were used for diesel fuel and oil, and they all are scattered across the vast area. Half of them have already sunk underground because soil swamps them in. There is a lot of abandoned machinery – even trucks that have only 60 kilometers of run. When I first arrived there in 2014 and looked into the distance, it seemed to me that there was a settlement in about one kilometer from us. And when we came closer, it turned out to be mountains of rubbish remaining from a military base – destroyed constructions, machinery. And in 2016, when we were leaving Bely Island, I looked back, at the same place, and saw green field. This is the outcome of our work accomplished in four years. – How many of you were there? Who travels there with volunteers? – They bring us there by a helicopter with capacity of 20 passengers – there are 18 members of our group and two rescuers from EMERCOM. Sometimes scientists also come with us in helicopter, so number of volunteers is less. – How long is the expedition? Do you prepare somehow for it? – As a rule, 21 days. And one week of training preparation in Yamal beforehand. We go to camping tours, and that’s where every person is tested. Because if anyone comes to an Arctic island, and he is not prepared to face reality there, it won’t be an easy task to get out. Emergency call for a helicopter is expensive, and the helicopter is not always available. This is why they aim to select volunteers, which have already formed a team. Indeed, when we come to an island, it feels that we have known each other for years, though actual interaction lasted for one week only. 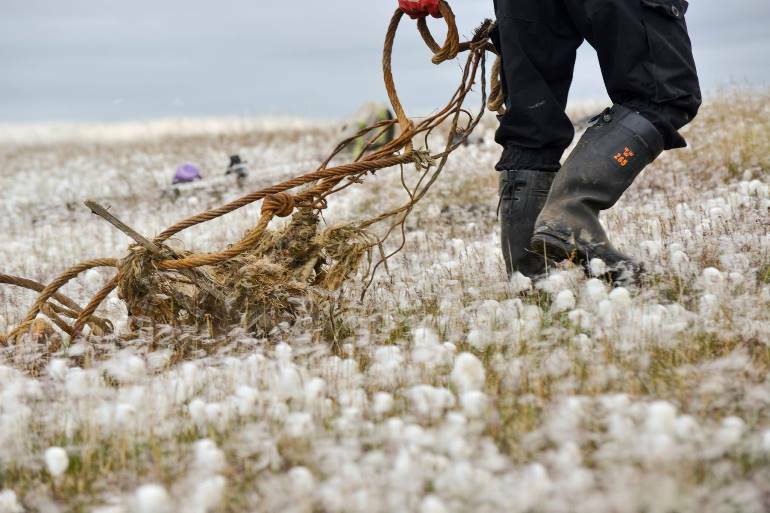 – As far as I understand, clearing an Arctic island from trash in expedition involves heavy physical labour, which you are engaged in from morning till night? – Yeah, the most difficult task is to come out of the warm lodge in the morning – and when meets you with zero degrees centigrade, never-ending fog, rain and wind. You need lots of strength and power just to come outside. 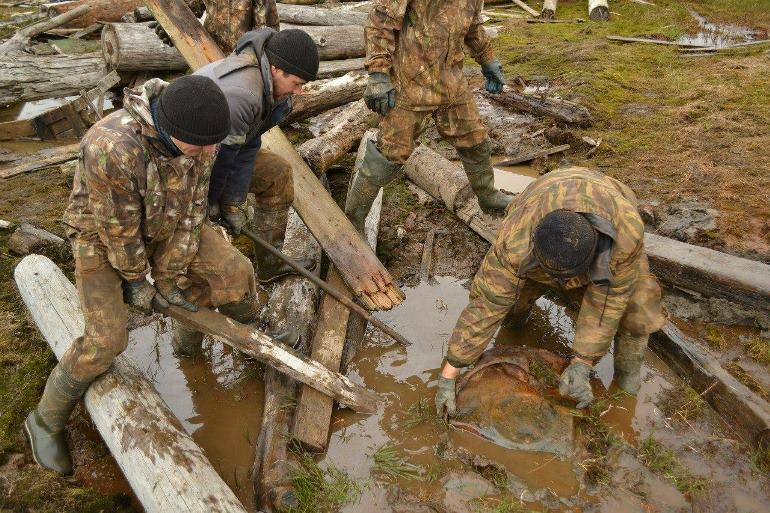 And then we work till lunch – carry barrels, remove frozen engines out of soil. Usually all work is done manually because, for instance, vehicles cannot drive through Bely Island. It has very delicate turf – even when someone just walks there and back again, grass turns into mud. And vehicles simply sink there. That’s the reason we pull out all things by hands, then put them onto wooden pallets, pile up. And when soil freezes, it is the time for experts – they come and make all the trash ready to be removed by a barge. 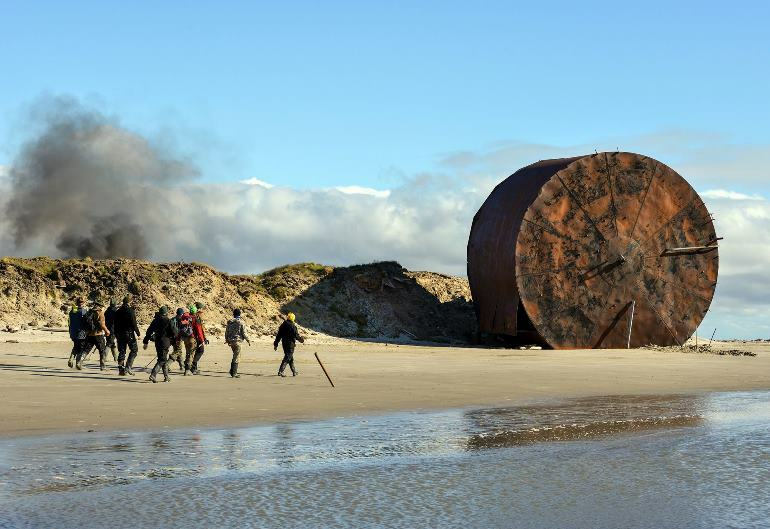 All trash is brought to the mainland: some things are sawn, and fuels are burnt. Our evening shift ends at 6 or 7 pm, depending of weather conditions. But usually, when we are there, sun shines all the time; it’s a polar day, so you can hardly guess how much time has passed. – Speaking of three years, when you were clearing Bely Island, did your volunteer team undergo any changes, or were there mostly the same people? – Our project managers aim to make rotations, to include new volunteers, so as many as possible people visit Arctic islands. The whole point of our expeditions is to show how things used to be, what humankind can do to nature, and how it can finally be changed. But new volunteers are complemented with the core group of experienced ones, because they need training all the way. For example, an inexperienced person will try to lift a barrel, though its weight is about 440 pounds; and for this reason it should be rocked, pushed from a side. 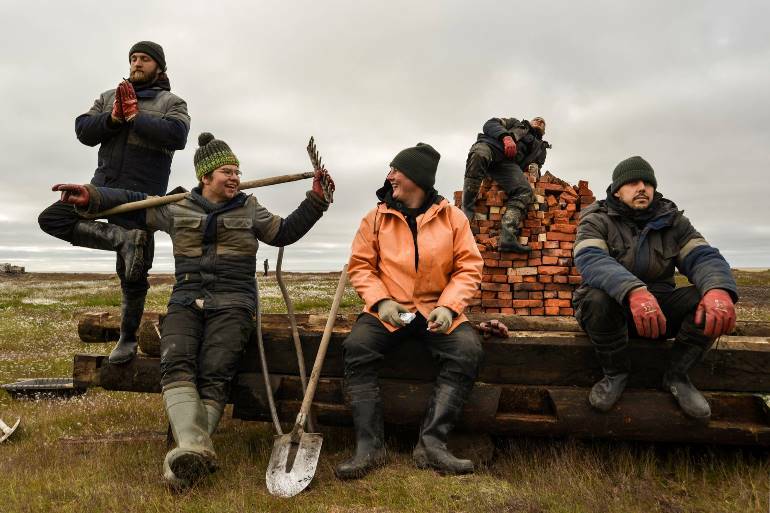 In 2017, when we first went to Vilkitsky Island, the expedition team included only well trained, experienced members. Because there were no any utilities at all. A helicopter brought us there, and we had to make our own accommodation, take soil samples, and estimate scope of work. We had food for 4 to 5 days only. 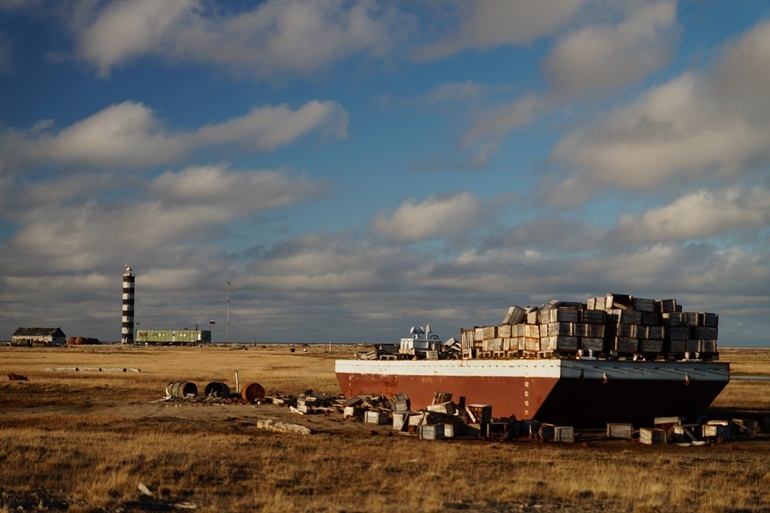 We had to wait for Somov, a vessel that calls at inhabited Arctic islands in summer season and provides meteorologists with food for the whole year. The vessel approaches the land, and then a helicopter comes from it and delivers the cargo. We were waiting for four days. But it is the Arctic; and you can expect a vessel to be delayed for two weeks due to weather conditions. Finally we were delivered a generator and all necessary things. And for four days we had cooked on fire. – And where did you sleep? – There is an accommodation module built in the 1970s with rooms and kitchen. But we had to put it in order since it had been absolutely abandoned. At our first night there we didn’t even have anything to sleep on. Later we arranged everything. And then were waiting for a helicopter from “Somov”. Especially, no doubts, for sweet condensed milk. Because condensed milk for a volunteer is probably the most precious thing: craving for sweet is very strong due to climate and hard work. Normally I don’t eat much of sweets, but in the Arctic I literally pour liters of condensed milk into myself. Condensed milk for a volunteer is probably the most precious thing: craving for sweet is so strong due to climate and hard work. Normally I don’t eat much of sweets, but in the Arctic I literally pour liters of condensed milk into myself. 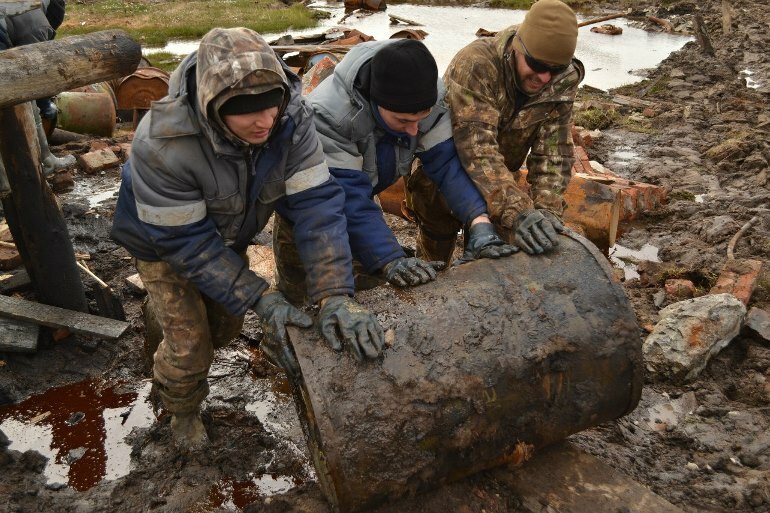 - Did Vilkitsky Island have situation with trash similar to Bely Island? – Yes, many places within the Arctic have similar situation. There are piles of scrap and, the most dangerous, barrels with fuels, which rotten and their content leak into soil. And then all these things reach sea, and there, at the coast, big flocks of ice birds, such as geese and ducks, nest; bears walk. Vilkitsky Island has sandy soil; this is why vehicles can be used there. This year we were provided with small tractor, and we collected 2100 barrels, 750 of them were with fuels. We hope that the island will be cleared in a couple of years. – So you go there during your own vacation, don’t you? Tell me, what do you do in your everyday life? – I live in Israel for 20 years. As a student, I persuade degree in political science and foreign affairs. But I also work in a security service. I go to the Arctic during my vacation, since in Israel one can hardly accumulate even 12 days of paid leave in a year. This is why I have to take the unpaid one. And obviously it is not an easy task – to leave for a month. Well, I just inform them that I am leaving. Many people go there for the second, third time: they go there to make a change. They just cannot do without making changes anymore. We want to clear out this island, then another one, because we can, it is in our hands. And this is because of Russia – it gives us chance for accomplishment. I believe the main purpose is about changing something in you own life and show others that you can live in pure environment, live in harmony with nature. That polar bears don’t have to be killed as it was at Vilkitsky Island before we arrived there – we found seven poached polar bears. 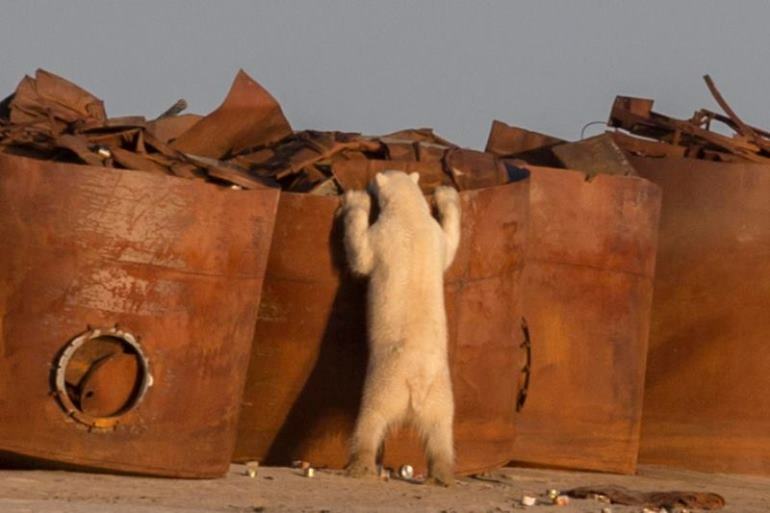 But when we work on the island, a bear next to us is busy with its own things: this is what harmony is all about. – Have people, who come to such unusual environment for the first time, ever faced any psychological issues? – No, never. Experts do good job training us – they turn us into solid and united team just in 4 to 5 days. That’s the reason that conflicts do not arise. First of all, no one drinks there: alcohol is prohibited; and it is not of importance for those who come there, they are just not that kind of fellows. Actually, those guys are really cool. And this is another reason why I have traveled to the Arctic so many times, year after year – it is very hard to meet such people in your day-to day routine. See, we are talking about a person who leaves everything behind and goes to the Arctic to work during his vocation. Many people cannot understand that – they consider us insane. But you go there and feel yourself at home, among same “insane” people, just like you. And everyone feels great! – Do young men who work there come from different countries? – Most of them come from different regions of Russia, and, certainly, there are compatriots from other countries, such as China, Chile, Ukraine, Bulgaria, Germany, Israel, Kyrgyzstan, and Kazakhstan. I think it is a very useful thing – to engage foreigners. Because when I share in Israel that by the aid of the Russian government we have started to clear the Arctic, they are absolutely blown away by the fact that the State makes effort to take care of the Arctic and does its utmost for this objective. `As a matter of fact, clearing of the Arctic was initiated by Putin: he just said that it required clearing. The Governor of Yamal invests a lot of efforts into our work and monitors it. His deputy, Alexander Mozharov, visits us at the island on a regular basis. And when foreigners go back to their countries and share with people there of what they do, the response is astonishment. – Ivan, you have lived in Israel since childhood, your life is concentrated there. How come you became interested in meeting Russian compatriots, taking part in the events they conduct? – You know, this is all my Russian blood’s fault… The further we are from Russia, the stronger we feel being pulled there. The more we understand how powerful our culture and our history are. Differences are very much evident. I became obsessed with Russia in the age of about ten; and virtually my whole existence is about Russia – my body is in Israel, but my head is always in Russia. I watch Russian television; I have Russian-speaking friends. I have no idea what is going on in Israeli political realm, but I know which ministers have been appointed in Russia. That is the reason I do my best to visit Russia as often as possible – there I find people of my kind. And when I say – oh, Russia won football match, people around me are happy. Everybody has similar thinking. And when things are not going well in Russia, everyone feels it with you: and when everything is good, you rejoice together. I don’t feel this way in Israel. – How do your parents feel about it? Do they support you? – Yes, they feel very warm to Russia and even are happy that I can afford travelling there, communicate, and absorb culture. Each visit to Russia expands my cultural horizons, I lack it in Israel. I come to Russia and so much information rains down on me from all sides! This is why my parents support my passion. – What is your opinion on youth movement of compatriots - does it develop? – It progresses. And that’s what vital. A person could live in his country and had nothing to do with Russia. But all of the sudden he came to the Forum and everything changed: Russia has got a new friend, and he himself has rediscovered Russia. Compatriots need to be worked with. Especially now, when such powerful information war has been deployed against Russia. During Syrian war Israeli media hardly mentioned any terrorists at all. However they used to emphasize that Syrian army stroke civilians with support from Russia. Young generation of compatriots has to visit Russia – to restore their roots, start talking in Russian again, and learn to write. Such events as World Cup or World Youth and Student Festival, which was held in Sochi last year, are excellent platforms for people to visit Russia, see its kindness, hospitality and power of its culture and history. I attended World Youth and Student Festival and observed myself how foreigners’ concepts about Russia were changing. It really made me happy. I saw Russia gaining one more friend. And friends are vital for us.